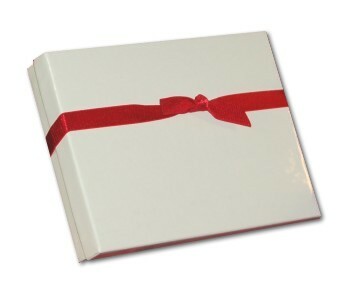 Here's a fun way to celebrate your first holiday season as a couple - even as newlyweds! 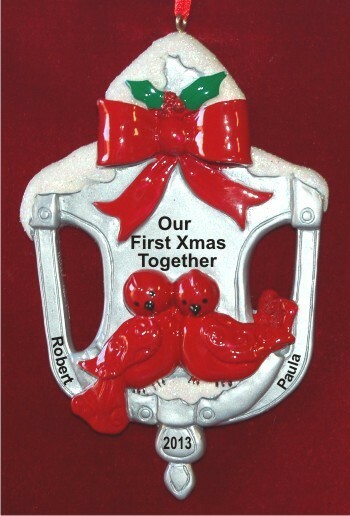 The door knocker our first Xmas together personalized Christmas ornament is handsomely designed and festively colored to create a splash of interest wherever it is displayed. These couples ornaments personalized as special keepsakes include your details added by hand. One of our artists will paint them where shown, though in a very pretty font to create a custom gift for your sweetheart or for friends. Arriving in our beautiful velvet drawstring bag, the first Christmas door knocker couples ornament personalized to be unique has room on the reverse side for a longer message from you, which we'll add at your option.